I took the three Quetzal bus from Pana to Solola, Guatemala with two Americans from California. 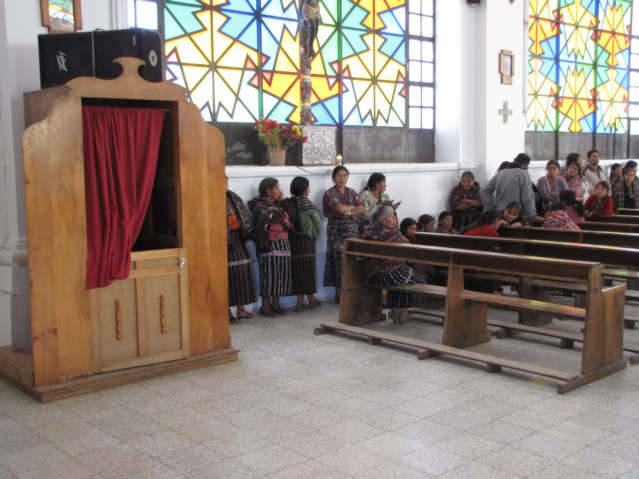 We entered the Catholic Church, there was over 40 people waiting for the Priest to show up so they could do confession. This is the Confessional inside the Church. I am in favor of Confession and believe that all people need to confess their shameful actions. To reconcile a problem, the problem needs brought into the light, discussed and then a commitment needs made to stop the problem. By confessing a problem, we make the commitment to change to another person, and if we continue to be bad, we are making a commitment be bad. Generally, most people have no desire to change, there for all of this is moot, and does not apply, yet for people who wish to become better humans, some form of confession is great. 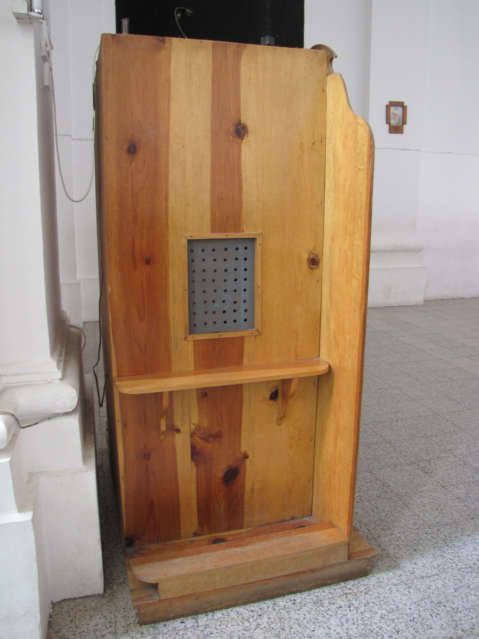 This was a double-sided confessional, it appears that a Priest could listen to two people at one time, or they could line up on both side for high-speed confessions.